Commitment and cooperation lead to pioneering 20,000-acre conservation easement. Project Summary: Conserving, in perpetuity, economic, ecological, and recreational values to ensure ongoing benefits of sustainable forestry, water quality, wildlife, and recreational pursuits. A 22,000-acre tract of productive forestland, with significant wildlife and public recreational amenities was poised for sale and development. The landowner, seeking another alternative, turned for help to the Forest Society of Maine, a land trust established by forestland owners, business people, and conservationists to help bring conservation options to private forestland owners. The goal was to find a way the lands could remain as private, productive forestlands while also protecting the significant ecological and wildlife habitat values and ensuring continued public use for traditional outdoor recreational activities. 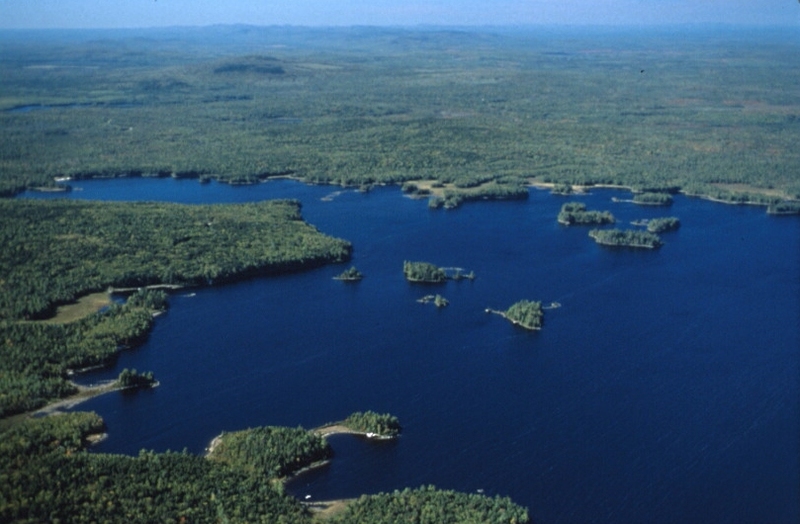 A public-private partnership was formed that achieved these goals, and today the Nicatous Lakes project area serves as a model of how other important, private forestlands can be conserved in a manner that works for states like Maine. · A conservation easement on 20,068 acreas of land that guarantees a balanced array of ecological, economic, and recreational benefits. · Permanent public recreational access to nearly 50,00 connected acres of state and private conservation lands. Today the property remains under private ownership by Robbins Lumber Company and International paper Company manages the forestry operations. The conservation easement is held by the Maine Department of Conservation and the Bureau of Parks and Lands maintains the property’s campsites and manages recreational use. The Forest Society of Maine monitors the easement ensuring that all terms are met. All of the parties involved work together to honor the intent of the easement and to find appropriate solutions when problems are encountered. This partnership has served as a model for other working forestland conservation projects in Maine. At the time, this was one of the largest, most comprehensive easements, and included innovations for rare and endangered species conservation on private, working forestland.